Vinyl strip doors reduce noise, dust, fumes, drafts, conserve energy and increase worker productivity. All kits available with full overlaps -- call for quote. 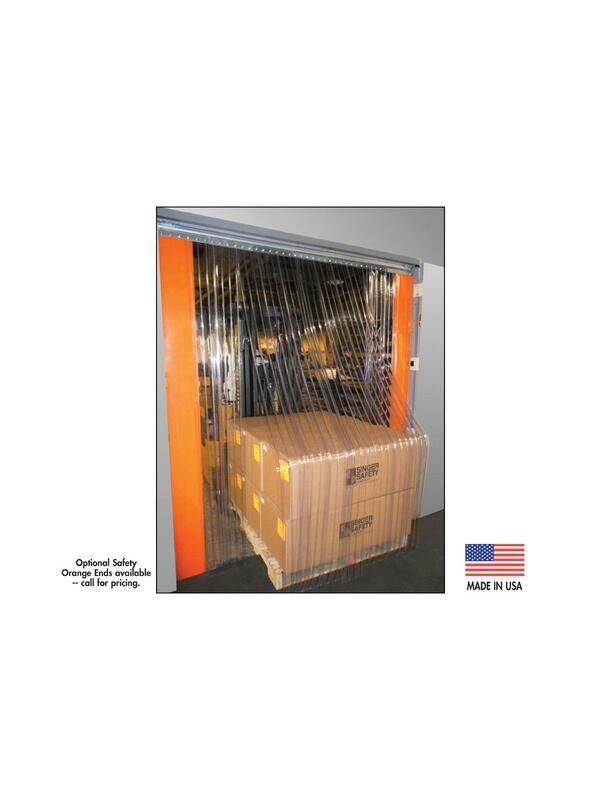 Ideal for loading docks, interior plant passages, freezers and personnel doors. 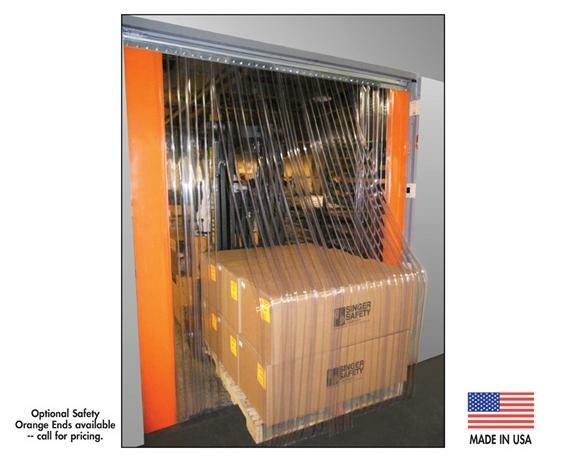 Ribbed strip reduces scratching from truck, cargo traffic, friction and static. The ribs on both sides create small air pockets for additional insulation and allow the strips to move apart easily as traffic passes through. The door kits (see Universal Strip Door Hardware) include our easy to install 14 ga. galvanized steel universal mounting hardware with permanent 1/4" studs and snap caps. FOB Shipping Point. "Snap-On" the snap caps. These hold the strips firmly against the mounting hardware. This tight seal leaves no air gaps between the strips. Snaps on easily - no tools required. Just choose door from list at least as large as your door opening size; oversized strips can be easily trimmed to your exact floor length. Special sizes also available; prices on request. Order No. H016-SPEC. See Related Items tab for Replacement Strips and Roll Goods.